One of my friends, who loves indian food, had came over for dinner recently. I just did not know what to make her when she came. I always want to make something special, or different, so I asked her what she wanted to eat and she replied parathas. As a result, for the evening, I created a menu around that, and instead of plain parathas I decided to make stuffed ones. There are many different vegetarian options for making the stuffing, like mashed potatoes, mixed vegetables, or just onions etc., but I decided to go with paneer. 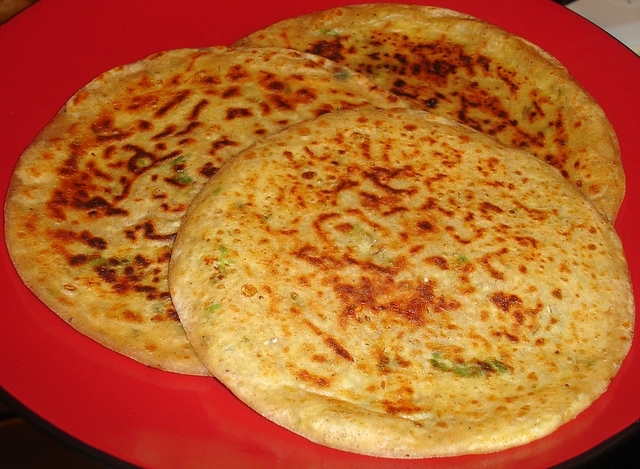 In the past I have made paneer parathas using different recipes from various books. However this time I thought I thought – let me make my own spice mix so I just created my own concoction. Sometimes it is good to experiment with different spices and tastes that you may like, it could just work well together, I was pleasantly surprised with these parathas. As mentioned above I just kept on tasting the paneer mix until I was happy with the taste, so add the various spices accordingly. You can also mix the paneer with some vegetables or even make a sweet version with sugar and spices like cinnamon (hum might have to try this idea out 😉 ). 1) Make a soft dough by combining all the paratha ingredients together, making sure to add the water a little at a time. Look to the rotli post for full instructions on how to make to dough. Leave it to one side to prove. 2) Into the grated paneer add the remaining ingredients and combine, taste to make sure it is to your taste, and add anything if necessary. 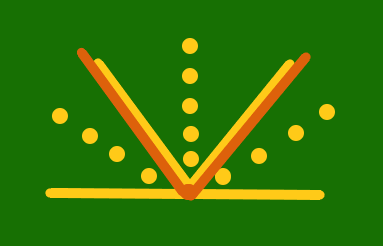 3) Divide the dough into 12 balls about 3 cm diameter. 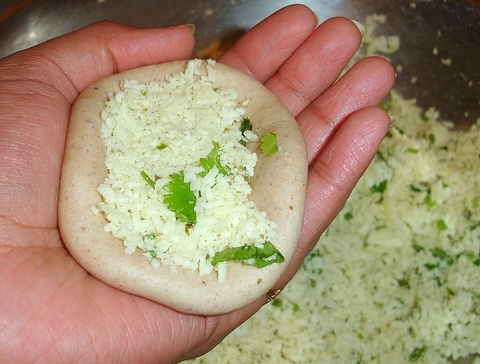 On a board roll out each ball into a flat round shape about 5 cm in diameter.Place the rolled dough on the palm of your hand then in slightly cupped hands form a depression in the centre and place a heaped tablespoon of the paneer mixture. Surround the filling evenly with dough, cup hands together and pinch the edges so they meet to to cover the entire filling. Pat sealed area to get an even thickness of dough. 4) On floured board, roll the stuffed ball gently into a flat round shape about 16 cm in diameter. Keep on a lighlty floured surface and cover with a damp cloth. Continue with the rest of the dough, until all the dough is used up. 5) Heat a sauce pan (tava) on medium heat for 10 minutes, place the stuffed paratha on to the pan and cook for a minute or so. There should be a few light brown specks on the underside. Turn with a spatula and cook for the same time as the other side. Spread 1/2 tsp of oil (or brush with a pastry brush) all over the top surface. Turn over and cook for a few minutes, turn one more time. The paratha should be evenly browned on both sides this should take about 5 minutes in total. Place in a container which can keep the parathas warm. Continue cooking the remaining parathas. Serve warm with yoghurt raita, or a curry of your choice. Kiran ~ They are worth the effort, and they freeze well also. Sometimes the simple tastes bring out the best of ingredients as well. The parathas look yummy! I love the way you integrate your recipes with stories. Kiran ~ It is just amazing how many memories of our life are associated with food :), they are very tasty give them a go.